Good morning, squiders! Happy Thursday! 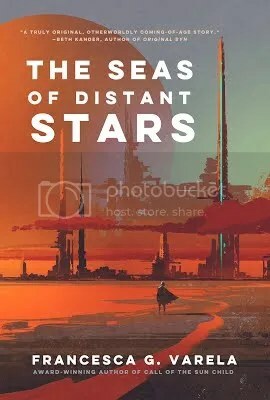 Today I have a guest post about writing process for you from Francesca G. Varela, who is currently doing a virtual tour for her science fiction book, The Seas of Distant Stars. It had been so long since Agapanthus had really swam—train-swam, counting her strokes and holding her breath until either her forehead ached or the upper, back end of her throat began to complain. Now she just floated, usually. Maybe a steady, parallel lap from one end of the shore to the other. She wasn’t even sure what she thought, anymore. Part of her had given up on the right-of-passage, but the other part of her wanted to prove it to them. What if she did it? What if she really did it, and she emerged from the small round boat to a feast and cheering crowds, and Leera would cup her chin in her warm hands and say, smiling, “I can’t believe it,” and Pittick would at first rest his hand on her head, but then hug her, and she couldn’t even imagine what he would say. Something about how he was wrong. About how much stronger she was than any of them had guessed. Something about being proud. Agapanthus looked down at her legs. They were coated completely in red sand, no skin showing at all. She stood and brushed off the clinging particles. They felt like little teeth boring into her. Drops of mist speckled the edge of her cheek as the wind climbed over the Waters. 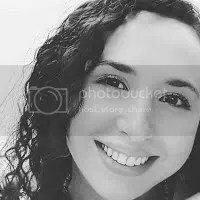 She was going to brush the droplets away, but, instead, she left her fingers splayed over the side of her face as she stared out toward Shre. If anyone saw her, they would think she was odd—just staring with her hand up like that, her other hand wrapped over her ribs, her shoulders fallen, like the Contact’s had been. But no one was there to see. That was the good thing about being alone. One of the few good things. A lot of people ask me where I get the inspiration for my novels. Sometimes, a character pops into my head from nowhere—from the ether, it seems. They are real, and alive, and I know instantly that they are the one I should be writing about. Other times, I see a vague image—a quiet, numb sunset on another planet, or a girl looking up at a field of stars in the broken wilderness of some future world. This image is my sole starting point. Other times, I have a message I want to spread; a plea to protect wild places, an invitation to enjoy the connection we share with all things, or a warning to not take this connection for granted. For the most part, I usually begin my novels blindly. I have an idea where things will go, but I let the writing take me there. The hardest part for me is getting started. Back in high school, when I wrote my very first novel, I learned that the only way to not to get overwhelmed by the length of a novel is to go word by word. To think of writing 60,000 or more words when the pages are empty—well, that’s intimidating. But to think of writing your first 500 words—that’s achievable. Typically, my daily goal is 500 words. Once I hit that mark, I feel accomplished for the day. 500 words a day will get you to a full-length novel in only a few months, if you’re diligent. And, even if you take a few days off here and there, or take a break when you’re off on vacation, you’ll still make good time. Using the 500 words a day method, I finished my second novel—Listen—in about nine months, and I finished my newest novel, The Seas of Distant Stars, in about six months. Once the writing is finished, I take time to edit. First, I read through and fix up any issues with the plot or character development. Then I read it again and make grammatical corrections and changes to the prose. Then, and only then, do I let friends and family read it and give me feedback. I long ago decided to keep my books a secret until they were finished. So, every time I’m working on a novel, no one is allowed to know what it’s about until it’s done. I guess this is because I want the story to be purely my own for a little while. Some of the best writing advice I can offer is to write like no one will ever read it. Write for yourself. Take chances. Be creative. Be edgy. Get those words on the page. After all, the only way to write a novel is by actually writing it! So, write a little each day, and let your instincts and imagination guide you.